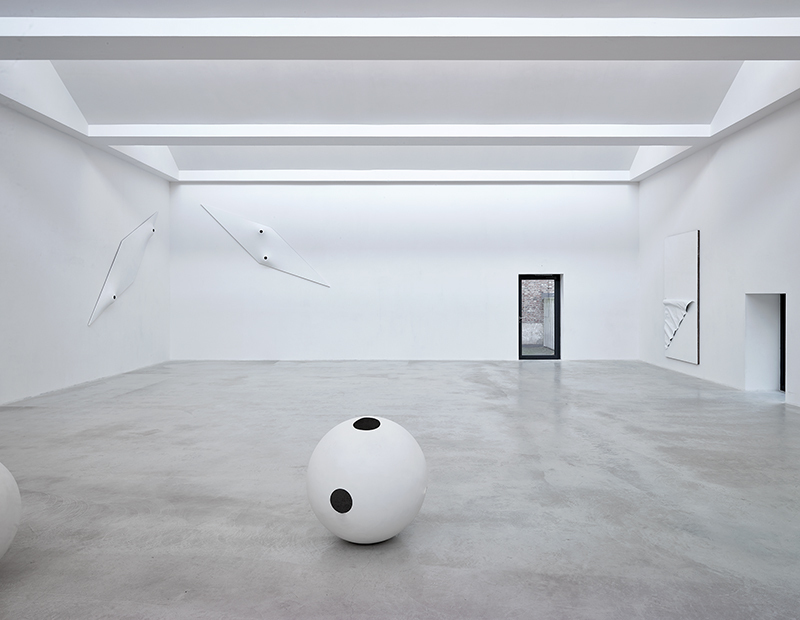 Axel Vervoordt Gallery is pleased to present, Norio Imai: Material Ecstasy, the artist’s second exhibition with the gallery, following the White Event in 2013. 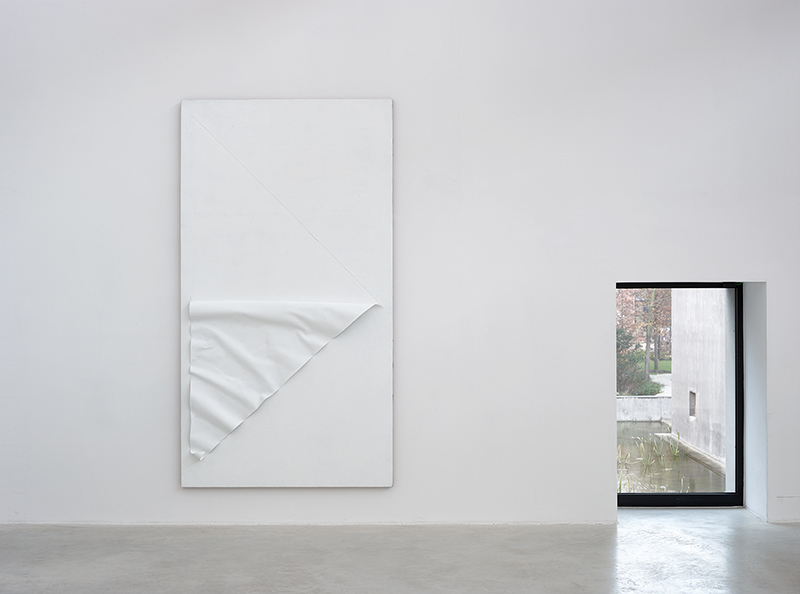 Axel Vervoordt Gallery is pleased to present, Norio Imai: Material Ecstasy, the artist’s second exhibition with the gallery, following the White Event in 2013. 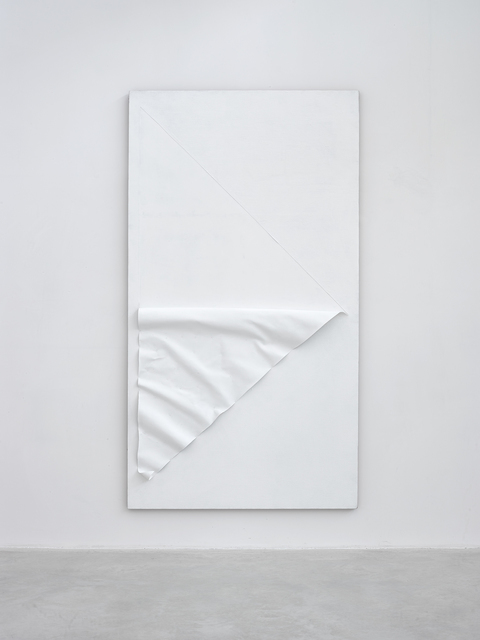 Presented across two gallery venues at Kanaal, the exhibition focusses on the artist’s experimental practices from the 1960s and 70s, including performance, painting, film, and photography. The work explores how Norio Imai (Osaka, 1946) innovatively tests the boundaries of the varied mediums. 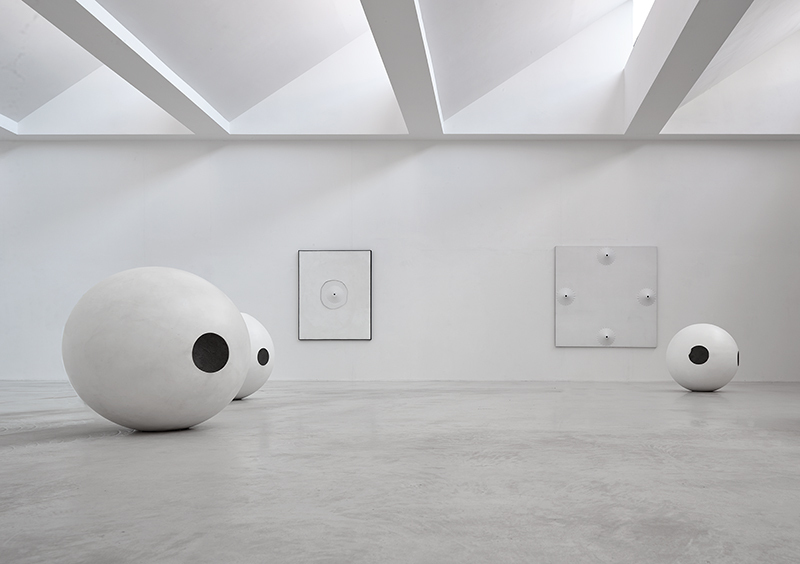 Imai is known not only for his immense, white monochrome works, but also for having become one of the youngest members of the Gutai Art Association—a group he joined in 1965. 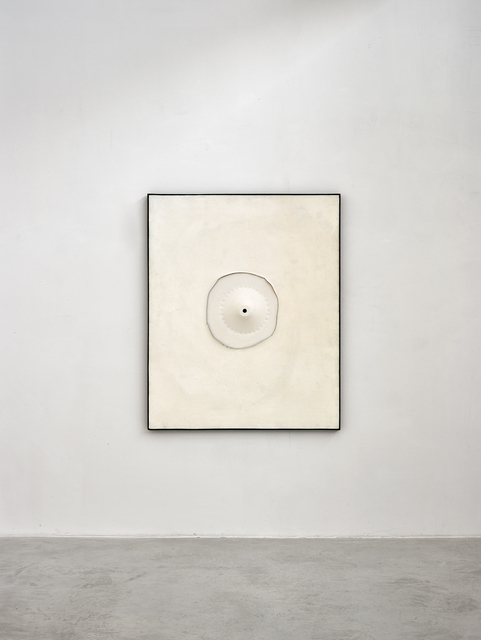 Gutai was the most influential artists’ collective in post-war Japan and amongst the most important international avant-garde movements of the 1950s and 1960s. 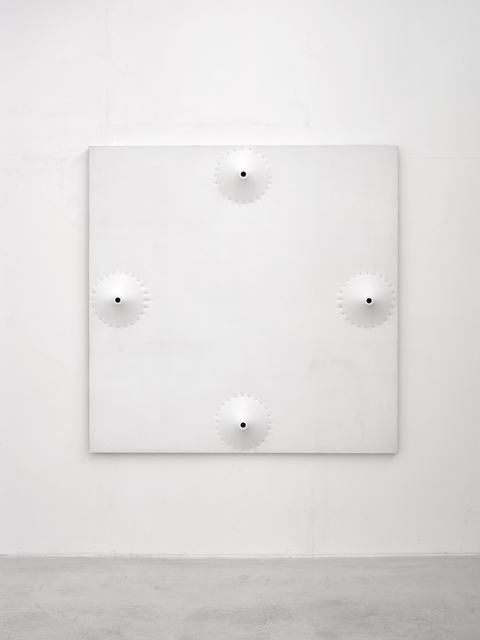 The exhibition’s title, Norio Imai: Material Ecstasy, refers to “L'Extase matérielle”, an essay written by French Nobel laureate J. M. G. Le Clézio at the end of the 1960s. The text represented a remarkable innovation in the history of writing and was of particular interest for many Japanese artists. In the Escher Gallery space, Imai and Axel Vervoordt Gallery collaboratively chose to re-enact two exceptional projects: 12,462-mm Trajectory (1970) and Existence (1971). Historically, both actions have been shown only once before. 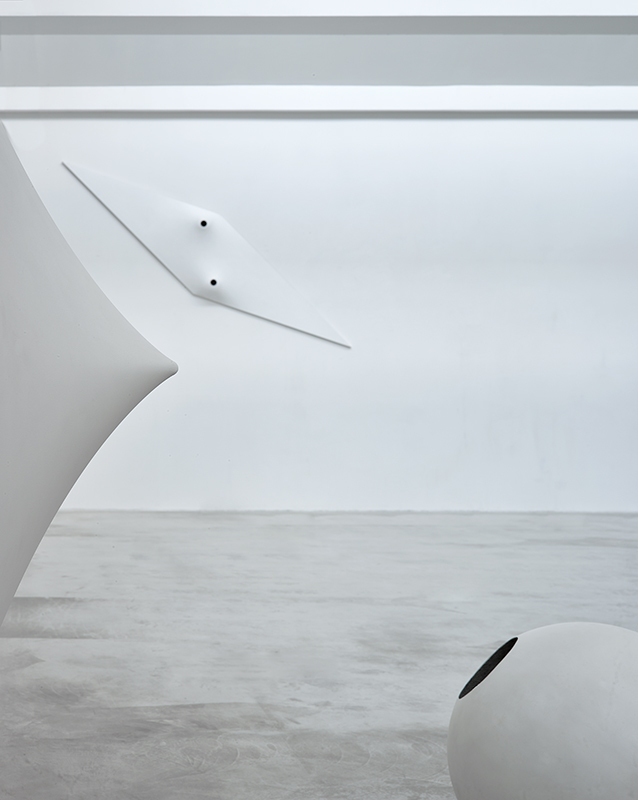 Trajectory is an artistic action that was initially staged for Garden on Garden, a collective sculpture display produced by the Gutai Art Association for the outdoor section of Expo ʼ70, held in Osaka. Existence is a sculptural intervention that was presented first during the 10th Contemporary Japanese Art Exhibition—Man and Nature at the Tokyo Metropolitan Art Museum, held in 1971. The measurement, 12,462 mm, represents the exact length of a trench created by dragging a large natural stone. For Trajectory’s 2018 re-enactment, a stone will be dragged through the mortar via winding device. The work strongly addresses the lasting and intrusive effects of mechanisation on our lives. 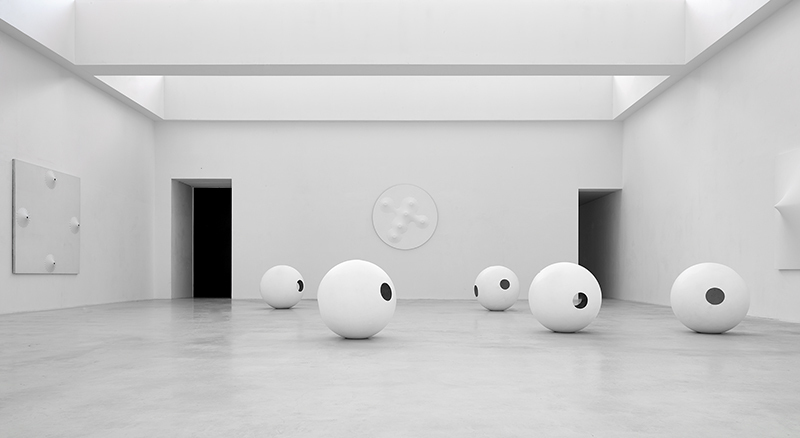 Existence will be recreated in the gallery’s entrance. A cement cast will be mounded into the corners into the corners of the space and pulled back from the walls just before the cement completely hardens. 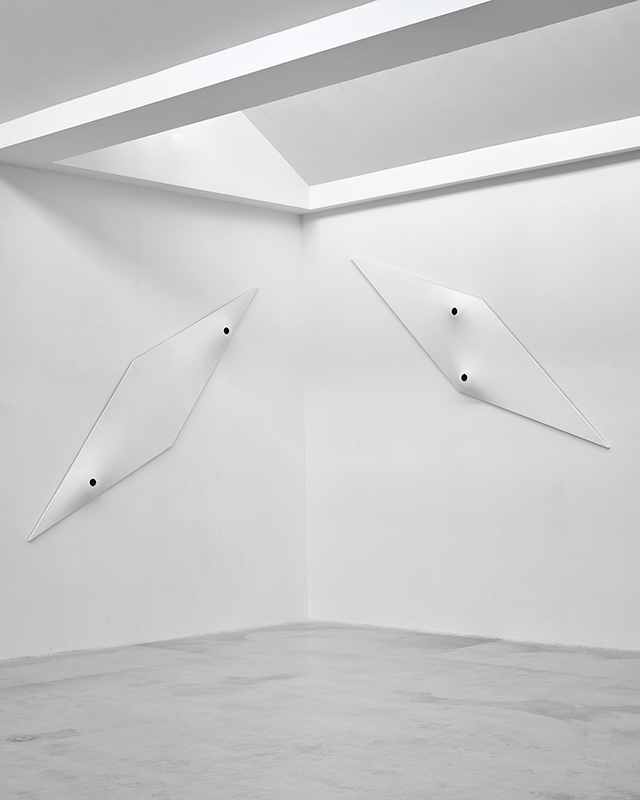 The heap of concrete and the wall remain almost unaffected by the move, yet the imposed last-minute distance between the two surfaces offers a subtle void that reflectively explores the concept of objectivity. On the day of the exhibition’s opening, Norio Imai will create an occasion of encounter. 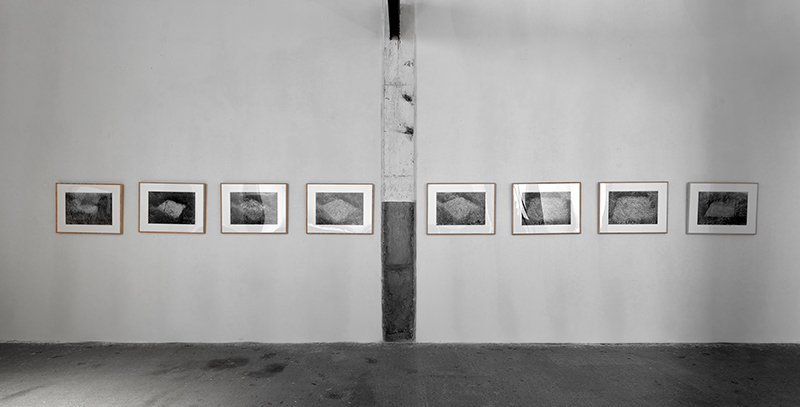 The artist will perform and re-create his 1970 work, Traces of Stones, on site. Three stones will be sprayed in white, stimulating a reflection on the relationship between objects and space, surfaces and awareness. 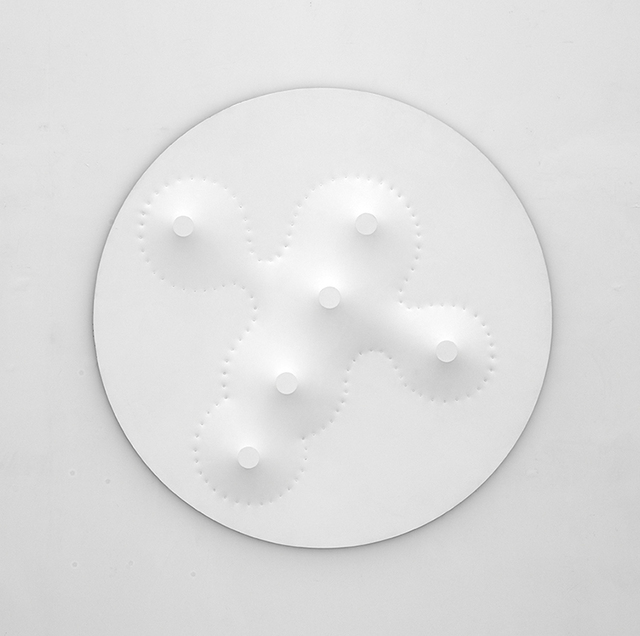 In the Patio Gallery, movements of concavities and convexities are explored. 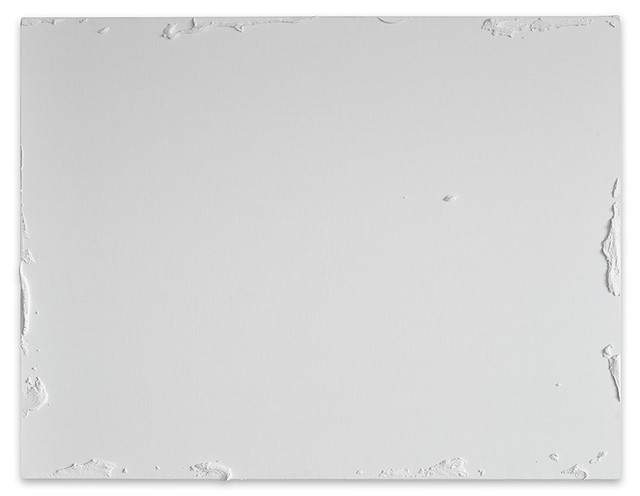 Here Imai’s white works from the’60s are featured, which investigate different confines of painting as an artistic medium. 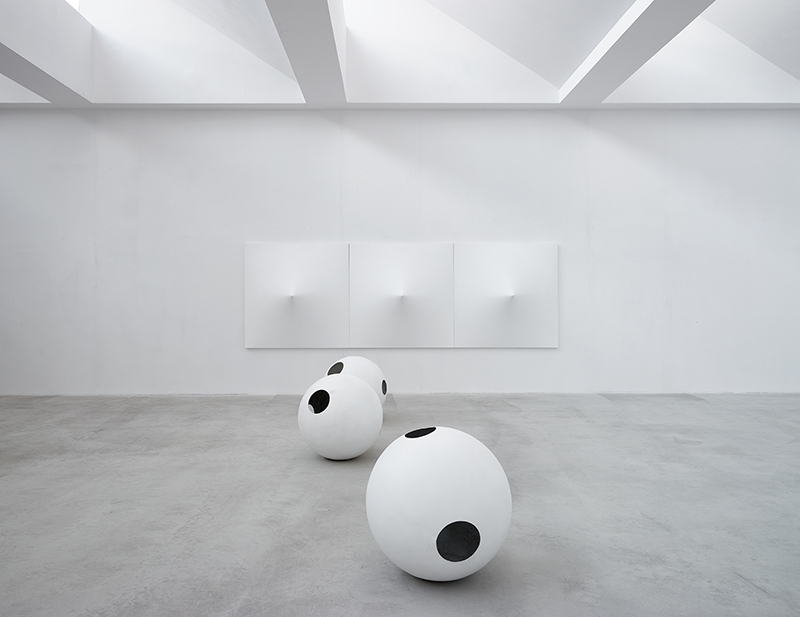 Occupying the centre of the gallery space is Tankuro (1965), a series of five perforated globes in fibre-reinforced plastic. The work offers a persuasive influence of objective view-making, while creatively re-inventing the environment. First shown at the 15th Gutai Art Exhibition in 1965, the work appeared recently in 2013 at the Guggenheim Museum in New York on the occasion of the monumental group show Gutai: Splendid Playground. 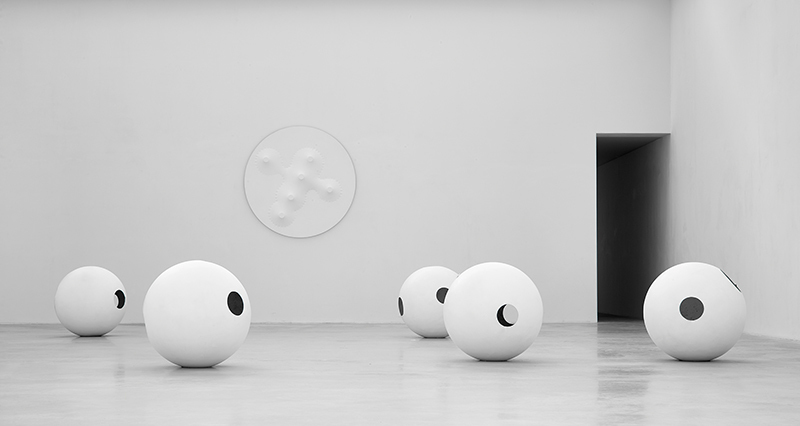 The instrumental work paved the way for the artist’s use of the geometrical sphere form as a recurrent attraction. In an adjacent room within the Patio Gallery, a film titled, En (Circle) (1967), strongly shows this crossing. Originally a 16-mm film, the projection is a composition of circular vibrating flashes realised with a hole punch on each frame. 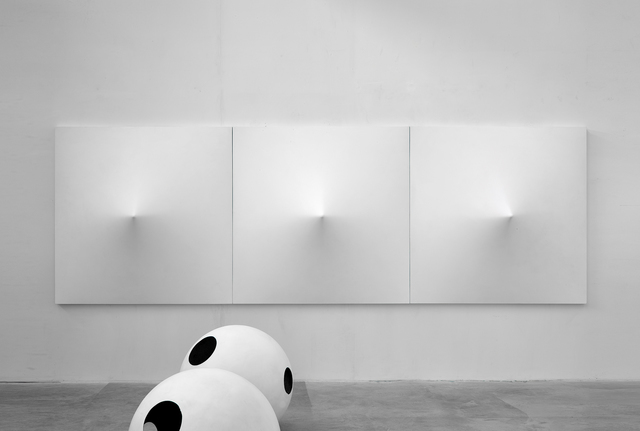 This gesture underlines Imai’s multidisciplinary explorations. He started at that time to also work in kinetic and light art, as well as experimental films.